Welcome to WOW! Carpet Cleaning! For eight years we have been using high quality, non-harm products and providing Missoula families with superior carpet cleaning and upholstery cleaning. Our deep cleaning will leave your home feeling and looking fresh, clean, and healthy. Read some of our customer’s testimonials. Just had our carpets cleaned in Missoula and Brian was great! Would definitely use them again. – Casey T.
Brian, the business owner, cleaned my couch, chair, and carpet. He gave me a great price, was very professional and friendly, PUNCTUAL, and had incredible attention to detail. He inspected my extremely stained and dingy couch up close and spent more than an hour on it until he felt like all the stains were out. The couch looks great (I had assumed it was a lost cause), and so does the chair. To top it all off, I got a free coffee to Black Coffee Roasting Company, which was a pleasant surprise. Next time I need a carpet cleaned, I am definitely calling these guys. It was easy to schedule a time, too. I trust the good people at Wow to clean the carpets and upholstery at my house while I’m out of town. Not only do they get the job done on time, but their prices are consistently the lowest and their quality the highest. Highly recommended. 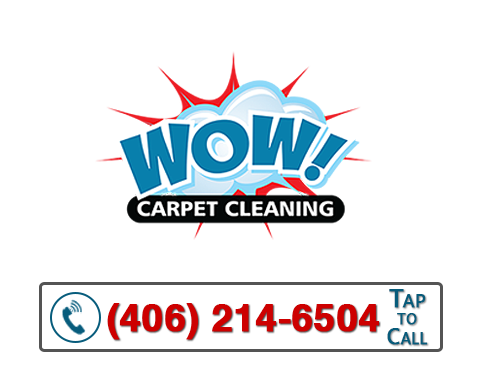 – Tom W.
I have known Brian with Wow Carpet Cleaning for a couple years now. He is a great guy and really takes care of his clients. It’s nice working with a local Missoula business that actually returns phone calls and focuses on customer service. I highly recommend his cleaning services. You won’t be disappointed!!! – Joe B. We service the Missoula Montana area from Bonner, Milltown to Lolo. If you live outside of this service area, call us to determine if we can service your home.